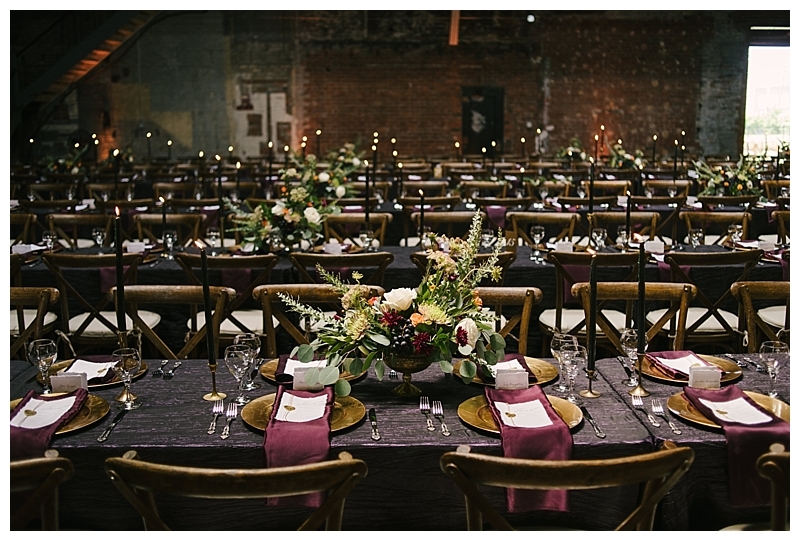 We love when we get to see our flowers come to life at an event, especially when it's at a venue we know & love! 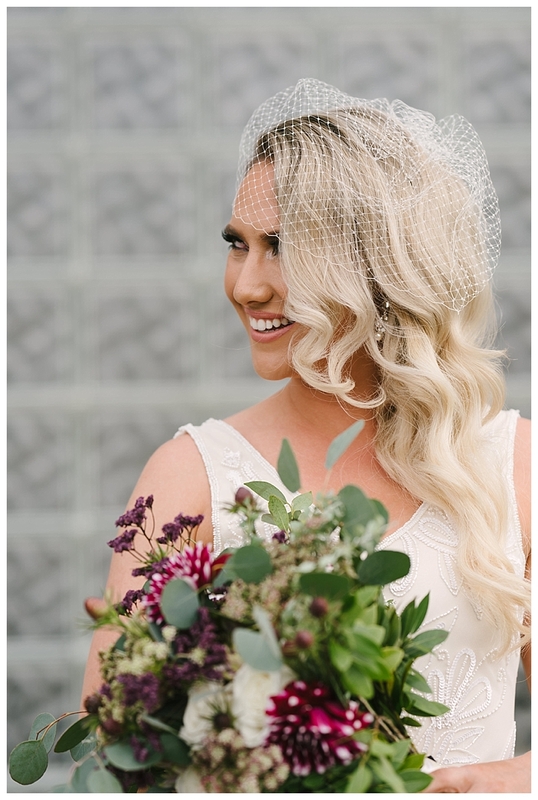 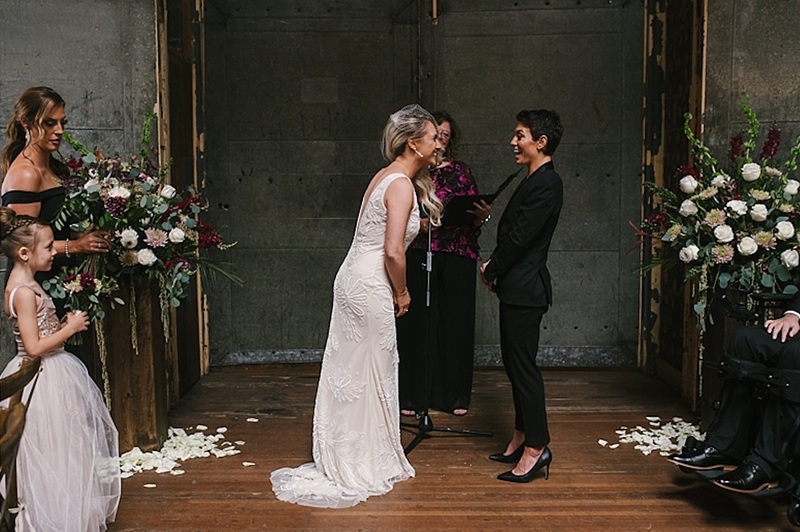 We hosted one of our Mayesh Design Star workshops at The Jam Handy back in 2017, so it was a treat to see this gorgeous wedding with our flowers in the space. 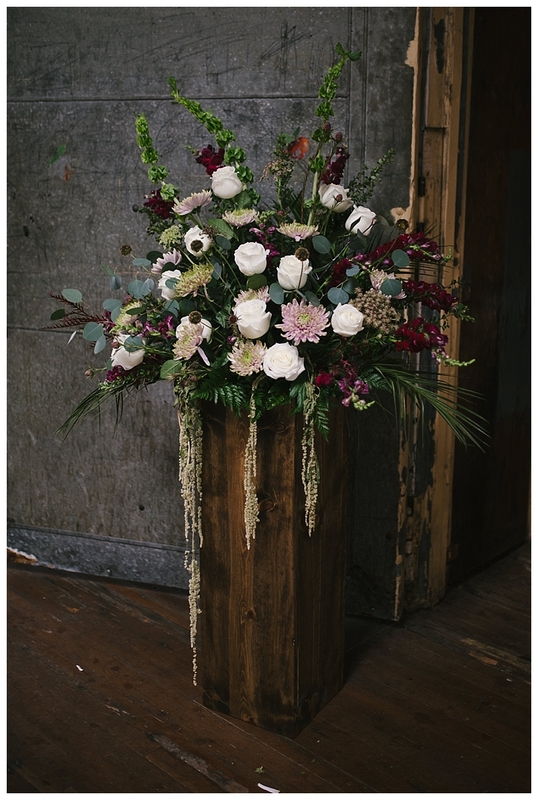 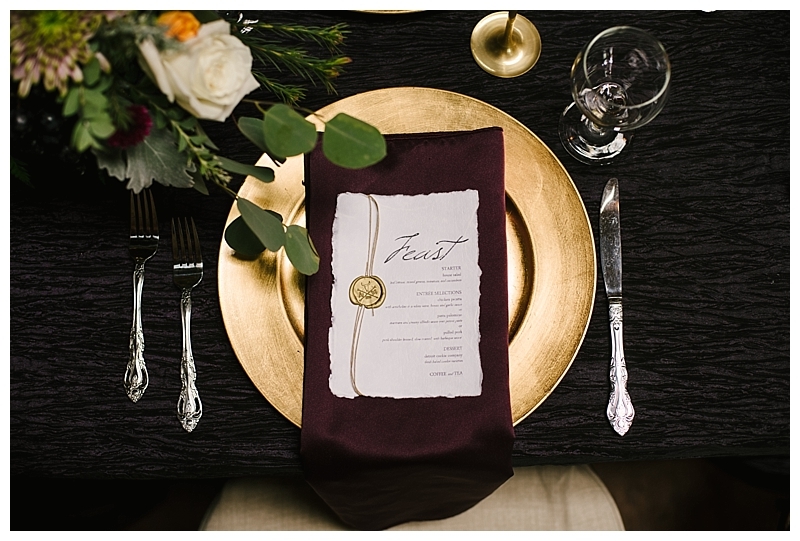 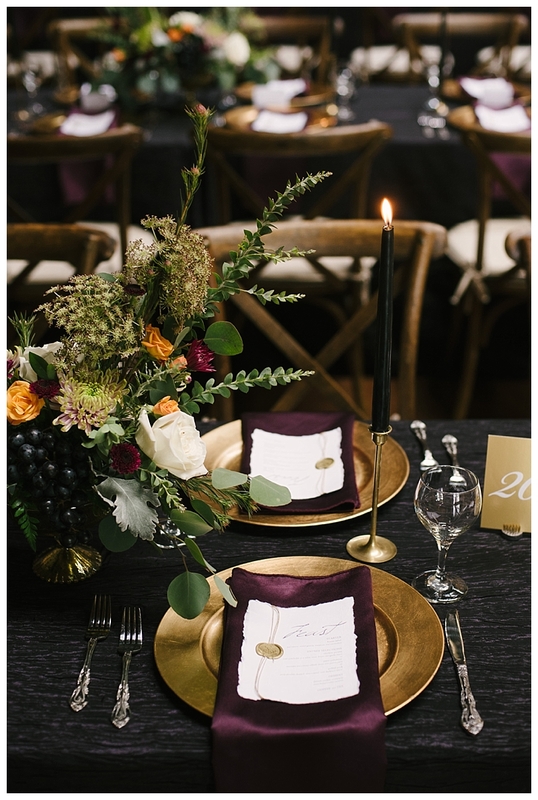 We're also ~swooning~ over this gorgeous eggplant and gold color palette! 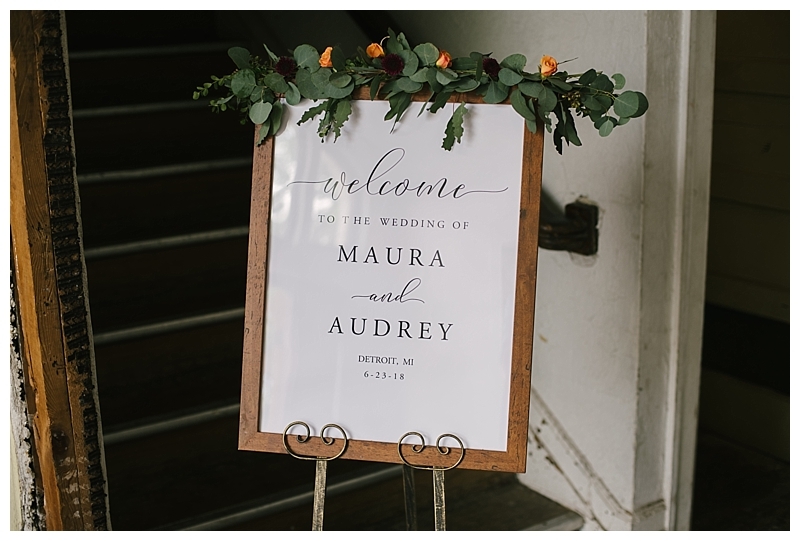 Last June, Ann of Bash Event Planning & Design helped make Maura and Audrey's dream wedding a reality. 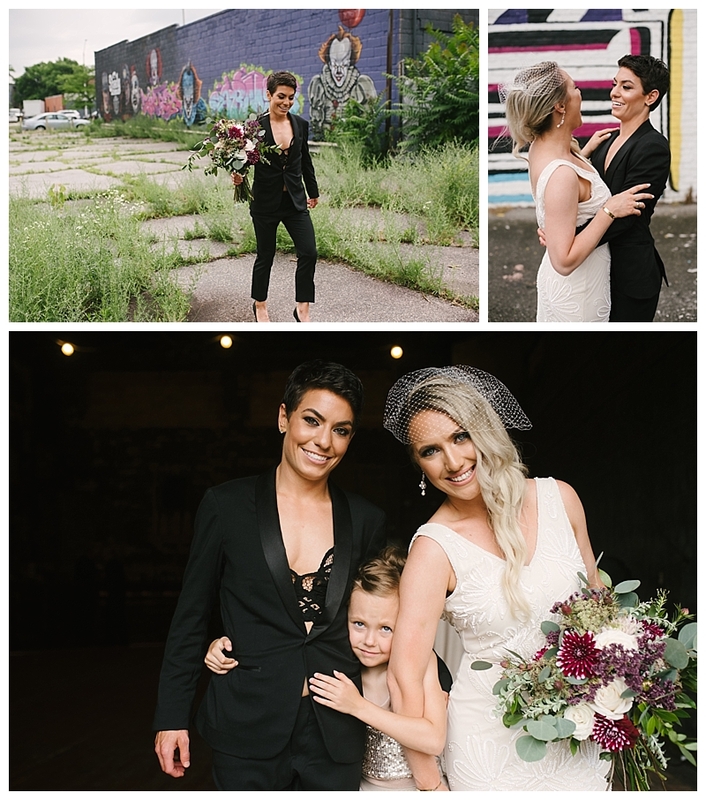 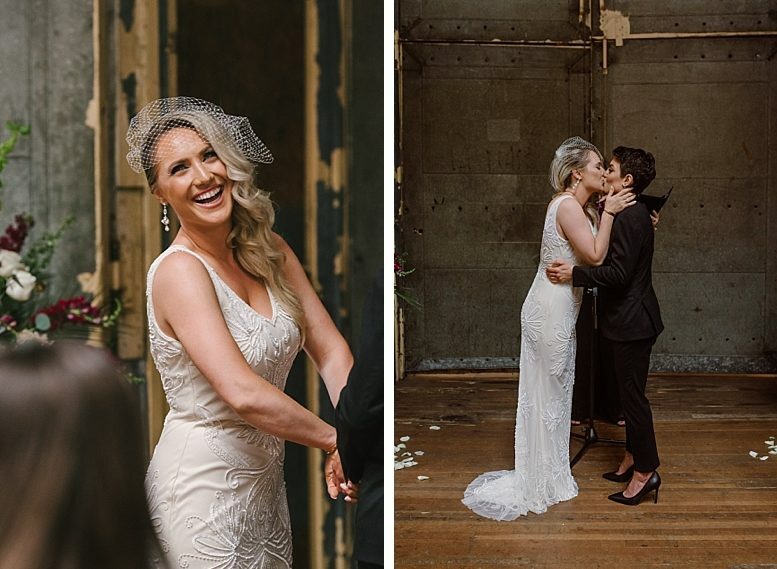 Check out these photos from their intimate wedding, then head over to LOVE INC. blog to see more beautiful photos and read about the wedding!